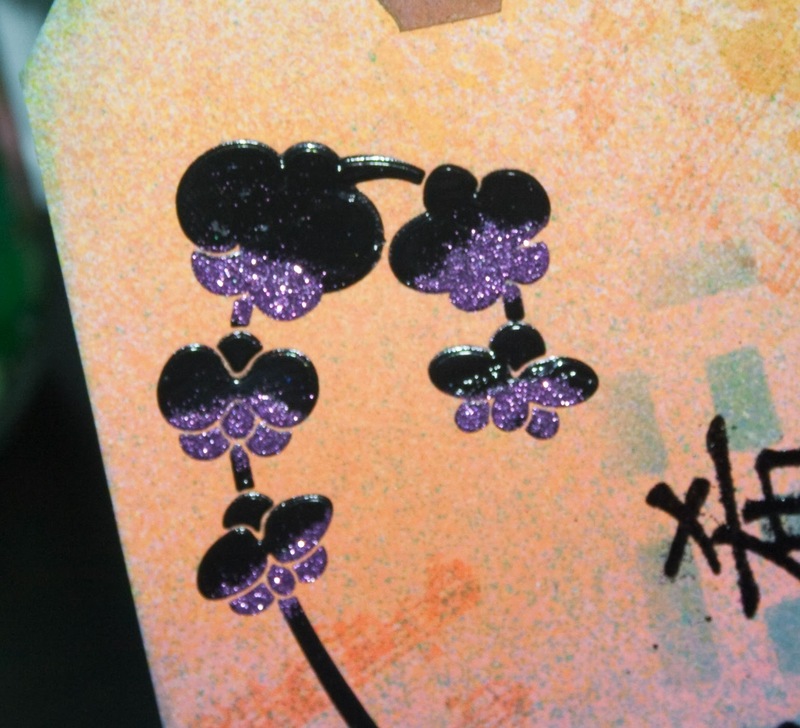 Today I made a video featuring the Dreamweaver Stencils and SNS glitters. We get a lot of questions in the store of how to use them and thought this might help. On this first one I used embossing paste and added glitter to the paste while it was still wet. 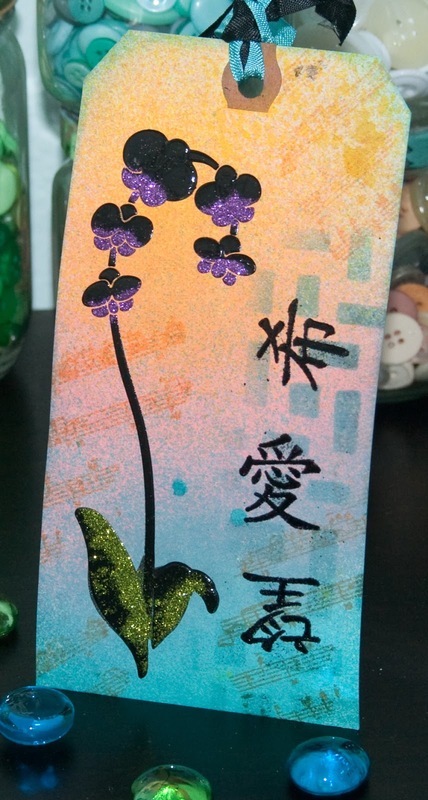 On this second card I used the 2 1/2" Tear-ific Tape and the stencil with Velvet Glitters. 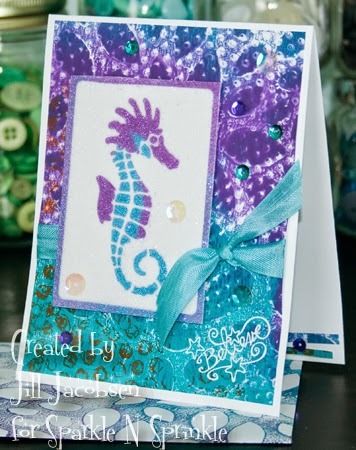 I placed it on a card where I used one of my Gelli Prints and finished it off again with sequins! 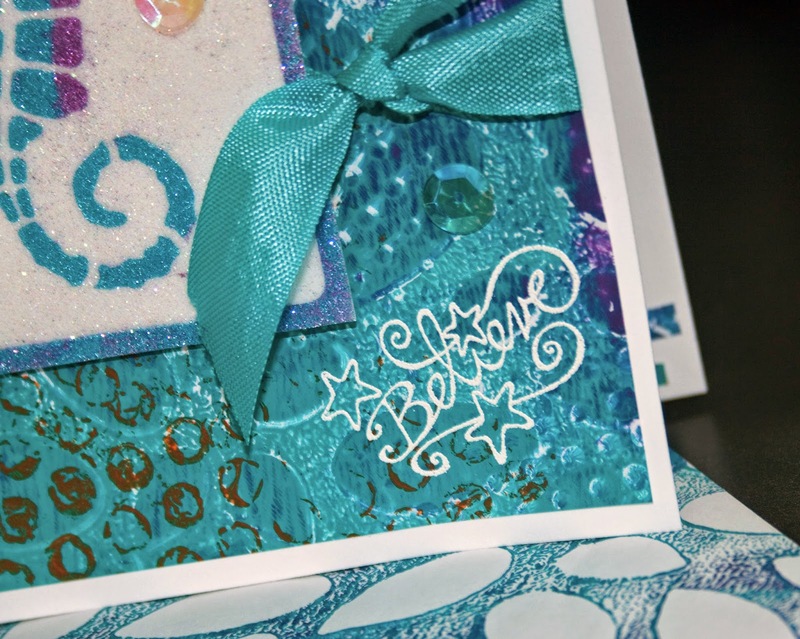 The sentiment is from Michelle Perkett's Mermaid Kisses and embossed it with white.